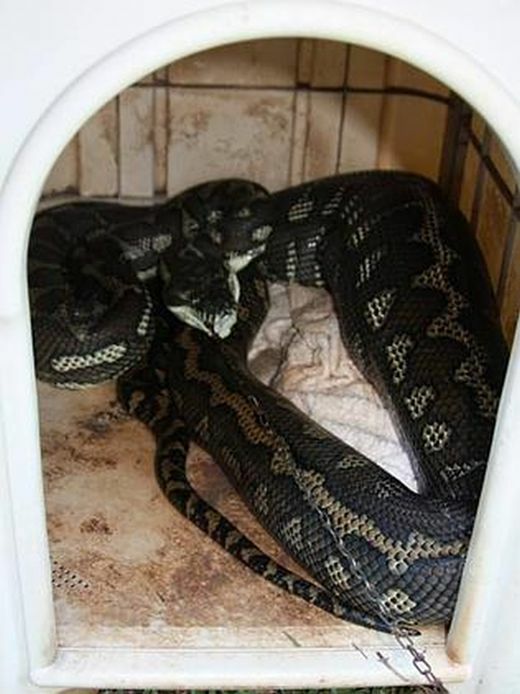 A giant python swallowed a Chihuahua-Maltese dog in Australia. The dog’s chain was still dangling from its mouth. The reptile believed to be 50 years old. Thats sad, but hopefully they didnt kill the snake for following its natural instincts. 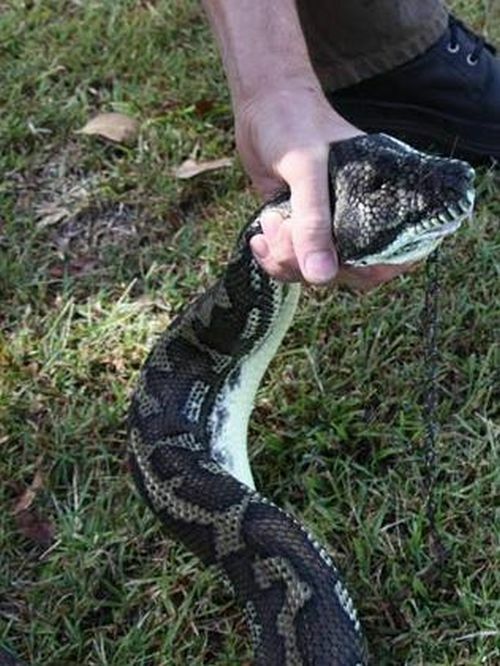 And why would you leave a small pet chained up outside in Austrailia, thats just asking for trouble. 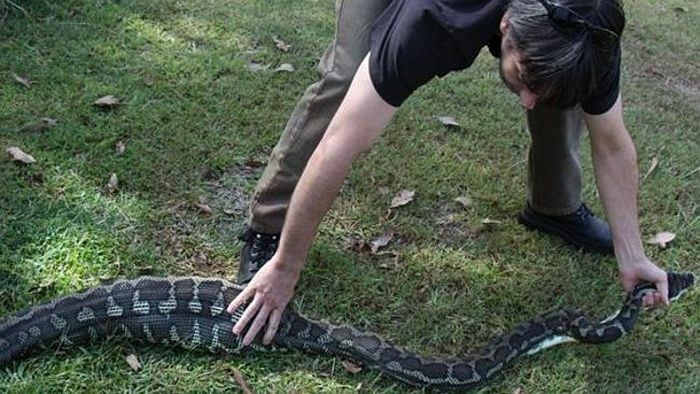 Giant python? They do not grow big there, do they?